Do you have a passion for the Arts and Art Education and a desire to work with like-minded people to bring more Art and Art Events to our community? Do you have the willingness to learn and the time to commit to meetings and projects? If you’ve answered yes to these questions, then you should consider volunteering with SCAA. We are calling for hands on volunteers and visionaries to add to the Board, Committees and to work with SCAA’s volunteer in the community. New location for the 32nd annual National Juried Exhibit. In 2018, 275 pieces of artwork were submitted with 38 juried entries from out of state. New location for 35th Christmas Arts and Crafts Holiday Show and Sale. Your favorite vendors in an exciting new venue. All around the area, public Art Exhibits featuring local artists as well as student artwork, with programs and receptions honoring their artwork. Representing SCAA at community events, festivals and meetings. 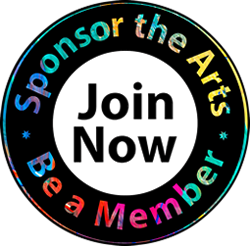 Expanding the connections of art organizations, business, education and families. Volunteers—the backbone of our organization, without whom nothing that SCAA does would be possible. 47 years of volunteer work to applaud and to continue.